Who doesn't like to munch Chakkuli along with hot coffee/tea?. 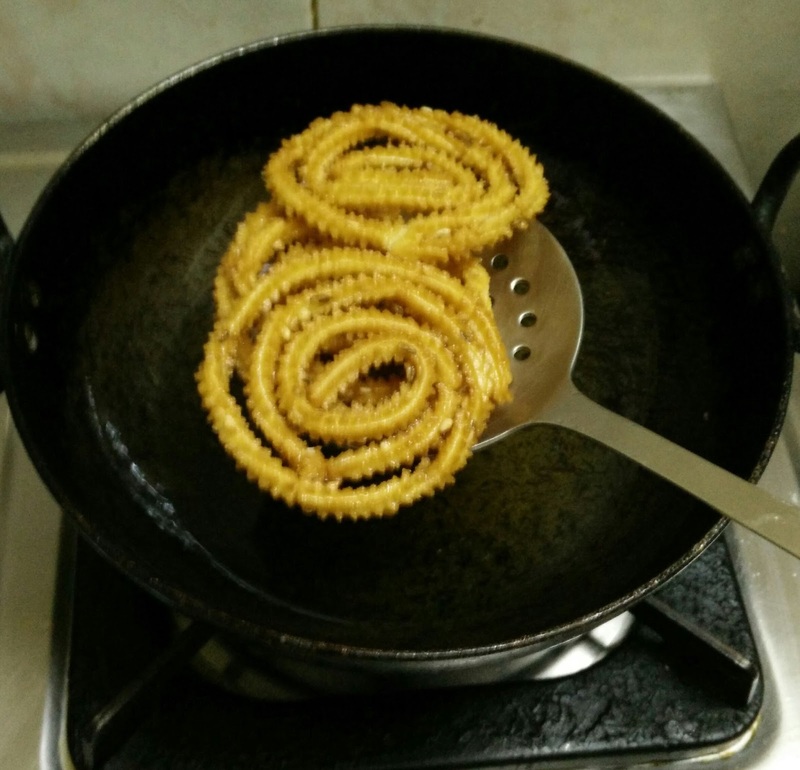 Here is a special version of chakkuli which is prepared with moong dal/hesaru bele. 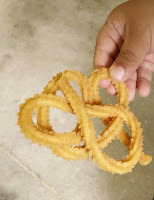 Believe me it is more tastier and crunchy than common mullu muruku which I have already shared in my earlier post. 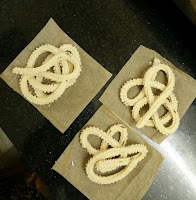 I found this recipe very simple than my earlier muruku recipe. 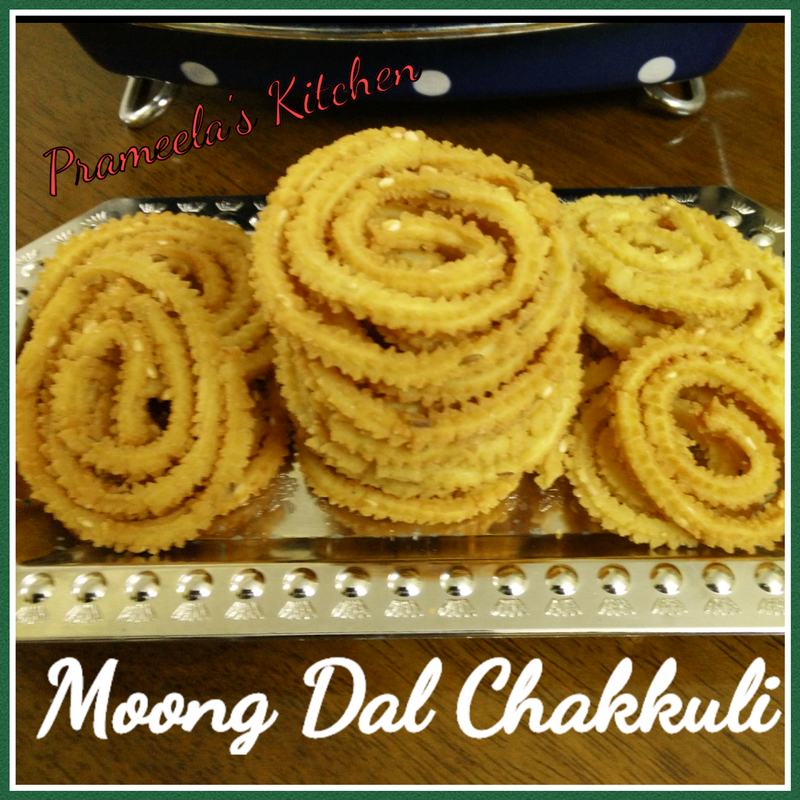 Flavoring these moong dal murukus by adding cumin seeds & white sesame seeds makes the snack very yummy yummy. 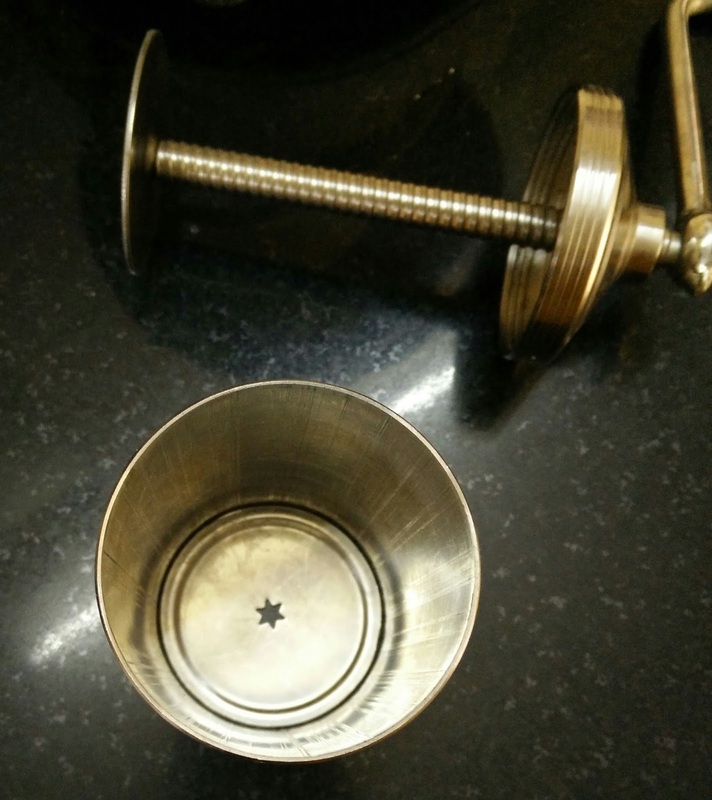 Why can't you try at home ?? 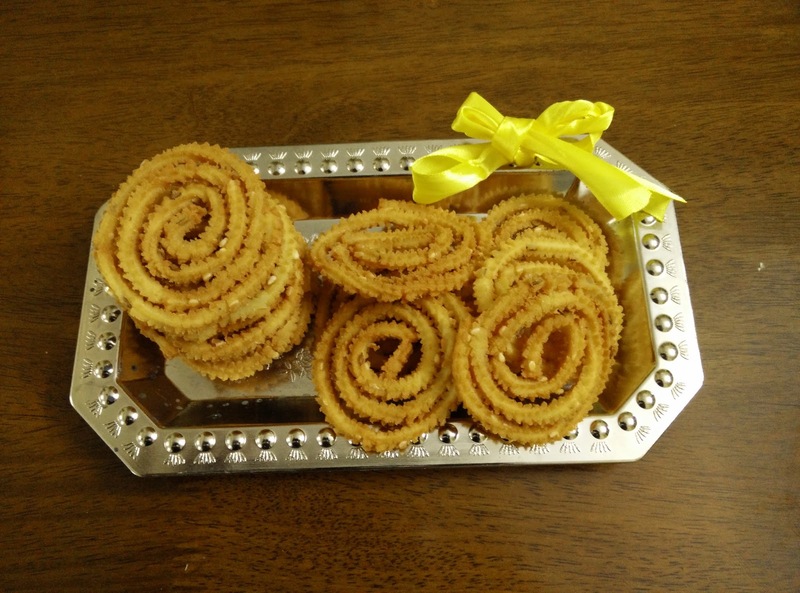 Do try and make your family happy ! 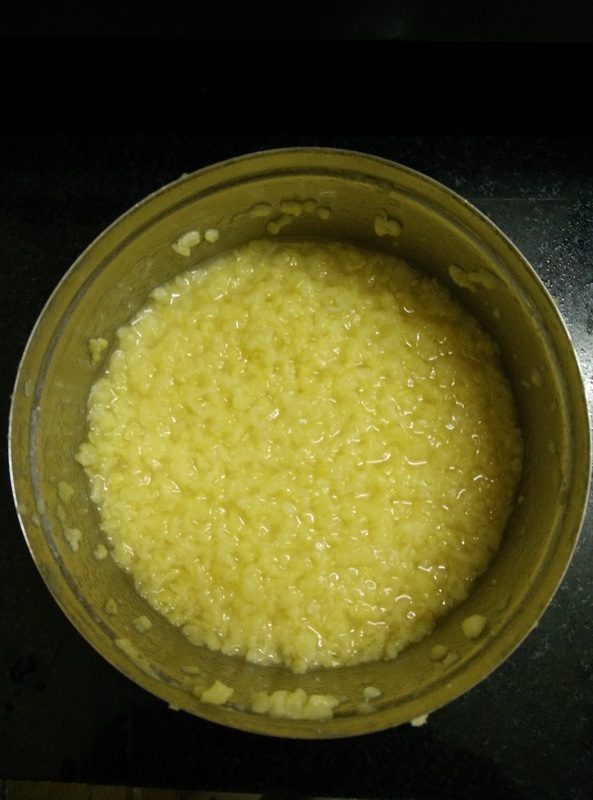 How To Prepare Moong Dal Mullu Muruku ? After 10-15 minutes , Start Heating the oil in a kadai/pan. 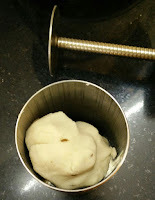 Now take a handful of dough and place it in a murukku mould.Press and make round mullu murukku by dropping on the baking sheet/plastic. Once the oil is hot enough , flip the sheet one after another using your hand and place these murukkus in hot oil carefully. 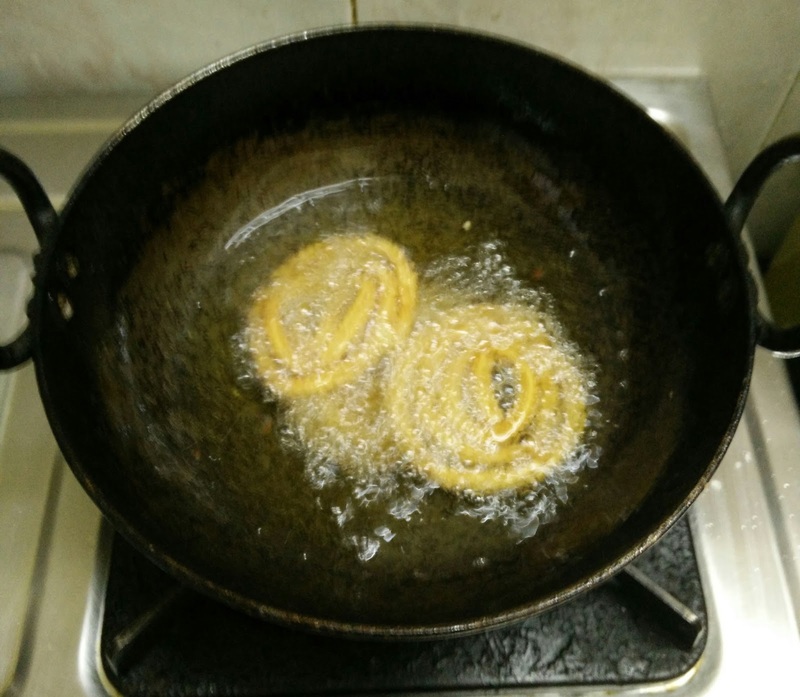 (please refer my notes section if you are beginner).Fry these murukkus in medium-low heat till they become light golden brown. 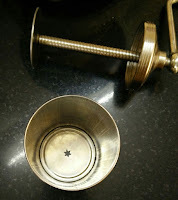 (other way of checking is, once sizzling sound stops you can take them out). 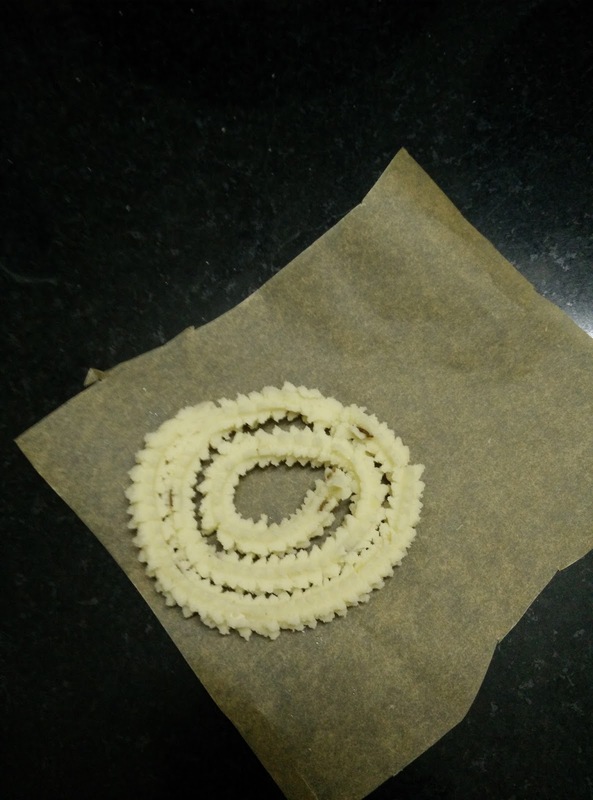 Strain the murukkus from oil and place them on a kitchen tissue. 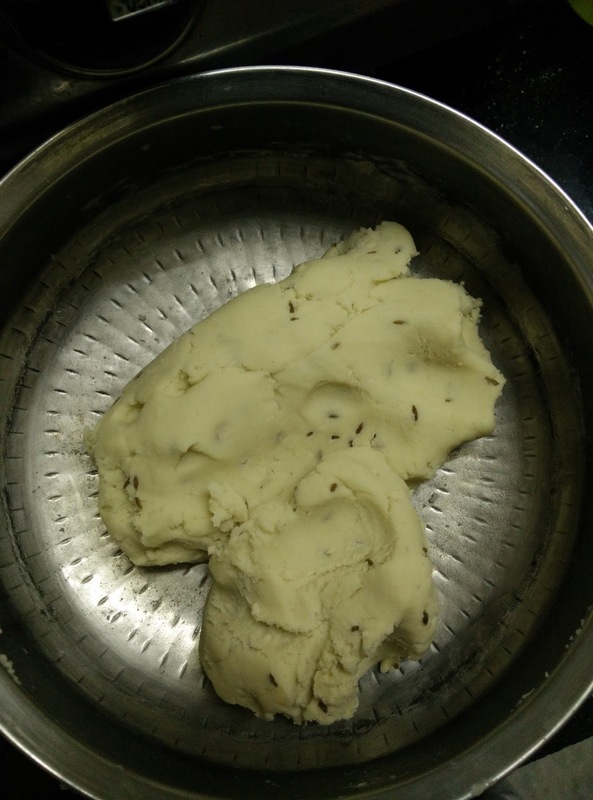 Fry these murukkus in batches till you finish off all the dough.Once it completely cools down, Store them in a airtight container. 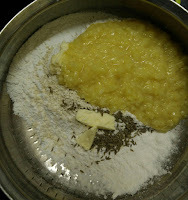 Along with butter you can add 1/2 tbsp of hot oil too to the dough. If you do so reduce the butter quantity to 1/2 tbsp. If you add more butter/oil to the dough it might break while making round shape murukku. 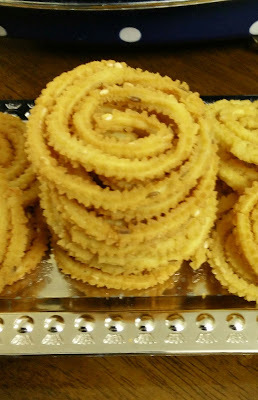 If you are beginner not able to make round shape murukku , just press and make random shape as shown below .. that tastes good too . 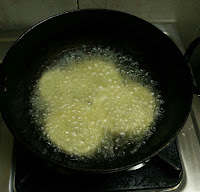 If it is breaking and not able to make random shape, then directly press on the hot oil . You will end up making broken murukkus .Taste wise all are similar. If you are finding difficult to place the murukkus in hot oil using your hands here is the alternative...You can use 2 ladles. 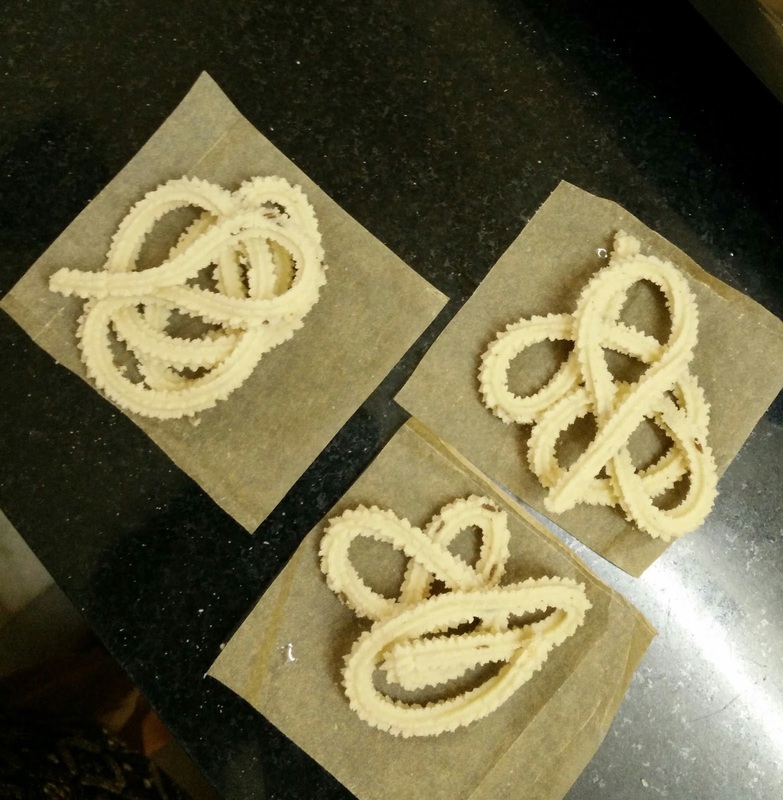 Make these murukkus directly on the ladle first and then just transfer it to hot oil.